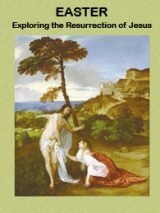 Books about Bible “mysteries” typically fall into two broad categories: those claiming with appropriate fanfare to have discovered some location or artifact described in the Bible; and others, based on more sober examination of evidence, showing the former claims to be inadequately supported by facts. The latest entry in this arena, Eric H. Cline’s From Eden to Exile: Unraveling Mysteries of the Bible, is in the latter category. Professor Cline is a scholar with credentials in both ancient history and Near Eastern archaeology whose two previous books provided engaging accounts of the sweep of history through single pivotal locations—respectively Megiddo (Armageddon) and Jerusalem. 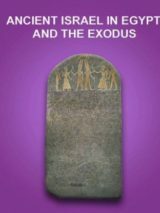 His new book joins a somewhat crowded field, as the author himself acknowledges, that includes recent anthologies about Bible mysteries from the Biblical Archaeology Society1 and from Archaeology magazine2. An appropriate question therefore, is whether Cline has offered fresh perspective. The answer is a qualified yes. While much of the material in Cline’s book is based on previously published commentary, it is probably fair to say that for the specific “mysteries” considered, Cline has assembled the most comprehensive and up-to-date survey of claimed discoveries, together with a balanced and thorough review of the literary and archaeological evidence. Indeed, readers might find Cline’s presentation too thorough, as some passages tend to be repetitive. And sometimes, as with the discussion of the Exodus, one senses that in the effort to be objective, Cline errs on the side of trying to evaluate Biblical accounts that are essentially unprovable, one way or another. But the discussion is sprinkled, albeit sparingly, with thought-provoking insights. For example, it would be impossible for any known wood to survive in the ambient conditions of the Ararat mountains, unless embedded in glacial ice. Or that the “Lost Tribes of Israel” don’t need to be found, because they were never lost. A second justification for a new book is the seemingly unending publication of fresh claims, a number of which have come forward since the Bible mystery anthologies preceding Cline’s. These include, for example, Bob Cornuke’s 2006 discovery of “boat-shaped rocks” at an altitude of 13,000 feet on Iran’s Mount Suleiman, and Vendyl Jones’ prediction that the Ark of the Covenant would be discovered on August 14, 2005. One might wonder, as Cline himself does at the end of his book, why the quests persist to locate such sites as the Garden of Eden or Sodom and Gomorrah, or to discover Noah’s Ark, the Ark of the Covenant, or to locate Israel’s Lost Tribes, in the face of the best archaeological and textual evidence that these Biblical features are largely irretrievable. The answer may be suggested by a poignant passage (p. 152) describing how, at a family reunion, one of Cline’s cousins expressed dismay at Cline’s assertion that, contrary to a passage in the Talmud, the Ark of the Covenant is probably not to be found beneath the Temple Mount. This vignette illustrates something that the noted astronomer and philosopher Carl Sagan once observed, that people’s wishes to believe are very powerful. And indeed, while one might suspect that the purveyors of remarkable Biblical claims are mountebanks or limelight-seekers, Cline’s account suggests they are as often as not sincerely motivated individuals who endure considerable cost, hardship, and physical risk in their efforts to confirm Biblical material. Indeed, Cline’s somewhat detached clinical examination of their efforts might have benefited from more in-depth treatment of these seemingly colorful personalities. Be that as it may, readers with similar needs to confirm Biblical accounts may, if they read Cline’s book, come to share the disappointment expressed by Cline’s cousin. But, as Carl Sagan also observed, the very importance one attaches to the subject matter demands the most careful scrutiny of the evidence. And that Professor Cline has provided us. 1. See Mysteries of the Bible, ed. Molly Dewsnap Meinhardt, 2004. 2. See Secrets of the Bible, (New York: Archaeological Institute of America, 2004). John Merrill is a contributing editor of BAR. I am not a Biblical Scholar, just relying on previously gathered information to pose my questions:. Dr. Cline’s timing takes a lot of data into consideration except the 1235 BCE total solar eclipse in Egypt ( a few years after Ramses II’s death) which is claimed to be the “Darkness Plague” to time the Exodus; consequently the pre-Davidic dates appear to be a bit too early. Was this astronomic date disproven ? The “Reed sea – Red sea” error works only in English. But the name (Mer Rouge, etc.) is the same in many languages where the stated error would not work.